Reiki is a Japanese hands-on energy healing technique, developed by Dr. Mikao Usui, that helps re-balance the body physically, emotionally and spiritually. So REIKI means spiritual energy. One of the greatest Reiki healing health benefits is stress reduction and relaxation, which triggers the body’s natural healing abilities (immune system), aids in better sleep and improves and maintains health. On a physical level, Reiki helps to relieve pain from migraines, arthritis, and sciatica just to name a few. It may also help with symptoms of asthma, chronic fatigue, menopausal symptoms, and insomnia. Is Reiki associated with religion? Though sometimes misunderstood, Reiki is not a religious practice nor is ti associated with any religion. People of all faiths and beliefs can practice and receive the benefits of Reiki. Pregnant women and their unborn babies can both benefit from Reiki’s gentle and balancing energies. Reiki’s energies aid healing and calm anxieties which are often associated with pregnancy and pending motherhood. 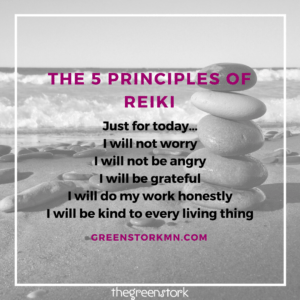 Reiki goes beyond just the physical support to provide emotional help and bring a deep sense of calm and positivity to both mother and the unborn child. Reiki during pregnancy can be a gentle, yet powerful, non-invasive treatment taht may help symptoms such as tiredness, low back pain, morning sickness, mood changes, hight blood pressure, stress and emotional disruption experienced both during and after pregnancy. Reiki, with regular treatments, ensures better circulation, harmonized energy levels, elimination of toxins and a stable and confident emotional, metal and spiritual outlook. Th body has an amazing way of healing and maintaining itself. Nervousness and fear experienced in the late stages of pregnancy, and distress on the impending labor, can be alleviated through the deep relaxation, balance and confidence gained through a Reiki treatment. A weekly treatment is recommended during pregnancy, especially around the heart, abdomen, and solar plexus areas, to enable the body to handle all the changes and demands that are put upon it. This can be especially helpful if there is previous birth trauma or fears around the birthing time. How should I prepare for a Reiki treatment with Steph? It is best to choose loose-fitting garments to wear on the day of your appointment. Wearing natural fabrics is best (cotton, wool, or linen). You may also want to consider leaving your jewelry (rings, bracelets, pendents, etc.) at home, as you will be asked to remove them before your session. We have plenty of pillows for your comfort and growing bodies. I’m not expecting can I still experience the relaxing benefits of Reiki with Steph? YES! You do not have to be expecting or a current client of The Green Stork to enjoy a Reiki session with Steph. This can vary for each person depending on your needs and desires. 45-60 minutes is about average. 10-15 minutes consultation to go over your needs before and after you session, with about 30 minutes of relaxation in between. Investment of $35 for one session. Package options are available upon request. Schedule your appointment here.